Can we just make 4 day work weeks happen every week? It makes the days just fly by!! I am so looking forward to this weekend because my sister and I will be going to the Lady Antebellum/ Hunter Hayes/ Sam Hunt concert on Saturday night. Not only do we have VIP & pit passes but we won a meet & greet with the band! I could not be more excited to see my favorite band in person again. 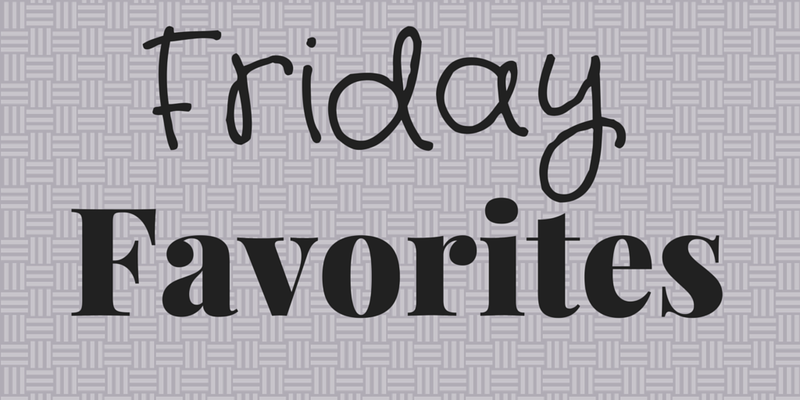 It will be a blast.. but before the weekend officially kicks off, time for another Friday Favorites, linking up with Katie & Heather as usual. 1) This picture has me laughing every time I look at it.. describes my life in one sentence. 2) “Top Five Confessions of a Fitness Professional” by one of my very favorite bloggers A Lady Goes West was a great read for any fitness professional! She hit some great points but I loved that she touched on the fact that she still eats junk food & drinks alcoholic beverages. I think most fitness professionals would say the same thing. 3) Old Navy has sucked way too much money from me for workout clothes. After running an errand during lunch this week, I stopped in to see how great their sale was. Well apparently it was so great I felt the need to buy 3 new workout tops & a pair of shorts (I keep telling myself it’s for the job). 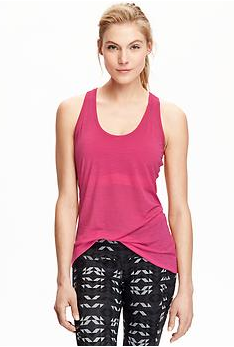 I wore one of the outfits to work out in that night and realized I had found my new favorite workout tanks. They are so soft, flattering and lightweight. So what is a girl to do? Buy one in every color of course. So I did just that.. thank goodness for their 15% off sale. 4) I love making playlists for my class but lately I have been spending WAY too much moolah on Itunes. After talking to my director she told me to get Spotify to make my playlists. This service will not only save me a ton of money but really increase my options for songs during Cycle. With teaching 3 classes consecutively (with the same people) I really try to switch up my songs and Spotify is perfect for that. 5) I do not watch very much TV.. The husband and I have a cycle of TV shows where we only watch one at a time throughout the year. When one finishes, another one starts. We jump from Walking Dead to Game of Thrones to The Leftovers. We have been left with a gap of not having a show to watch because True Blood is no longer on to round out the year. I was only half interested when I saw that True Detective Season 2 was starting after Game of Thrones… UNTIL I saw that Vince Vaughn was in the series. At that point I knew I had to watch and after the first episode I was not disappointed. I have about 500 questions about what is going on but for me that is a sign of TV show that I will continue to watch to get answers! It also makes me want to go back and watch Season 1 because who doesn’t love a little Matthew McConaughey. Hope you have a great weekend, hopefully enjoying some of the sunshine! Happy Friday! Tell me: What are your favorites from the week? 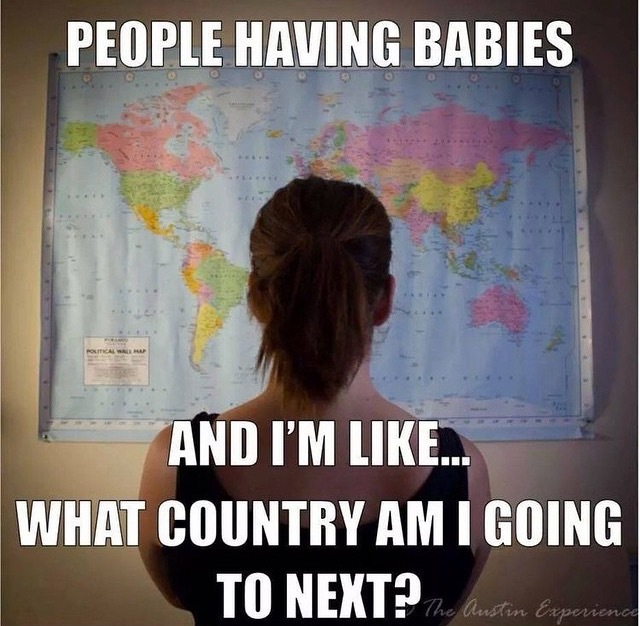 Do you have plans this weekend? Hi Samantha! Thanks so much for featuring my post about working in fitness. I’m so glad you agree with my approach to balance. And as far as country music? Yes! Love it! And Spotify is good for playlists, as is the RockMyRun app. Check that one out too! Have a lovely weekend. I am totally one of those fitness professionals who still eats junk from time to time and still drinks. It’s all about moderation. 🙂 And I’m glad I’m not the only one addicted to athleticwear! I hope you have an awesome time at the concert–that sounds like it’s going to be so much fun!